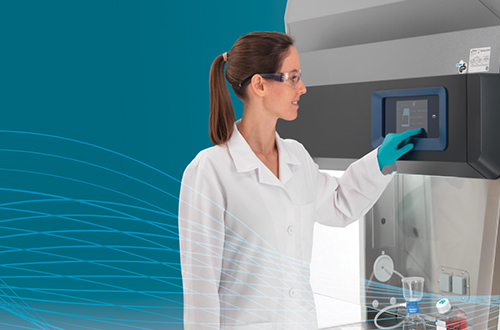 Equipped with “smart” self-monitoring safety features, intuitive graphic touchscreen interface and built in connectivity to preserve important performance data, the new Herasafe 2030i delivers performance with unmatched precision, for demanding cell culture applications and other sensitive work. Autonomous safety features maintain proper air flow and monitor critical conditions in real time without user interaction. This supports valuable research enabling our customers to focus where needed. Readily understandable graphical display provides the information you need, while the electronic sash with fully hinged opening enables easy access for supplies and equipment, and simplifies easy cleaning and disinfection. Electronically collect key operational and performance data on the secure Thermo Fisher Cloud and remotely monitor from anywhere, to evaluate your processes and accelerate your discoveries.